The semi-custom suite is a curated collection of elegant, timeless and modern wedding stationery. 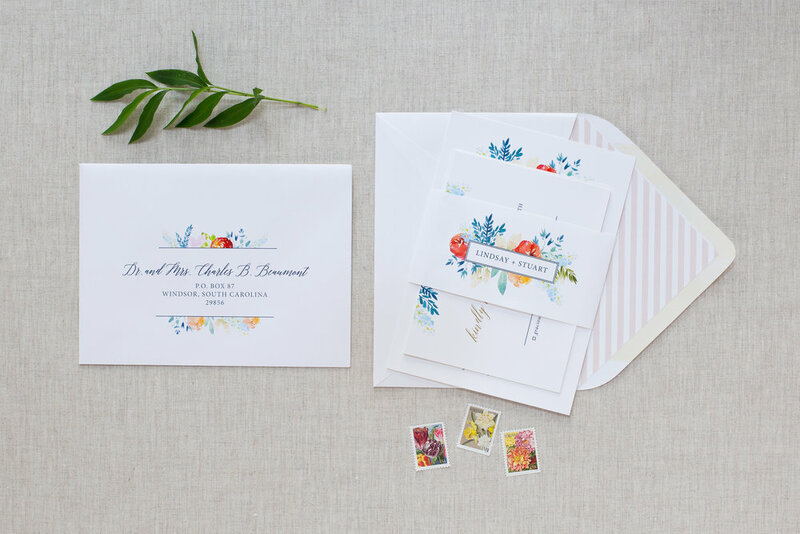 Packages are created to help simplify the process and make your wedding stationery an easy, enjoyable experience. Everything listed below is available a-la carte, but these packages represent our most popular choices. I take pride in every aspect of the process - from concept to printing - and promise that quality is one of the cornerstones of this little shop. I'd be thrilled to work with you on your invitations! Order a sample, check out the FAQ's or send an email to get started! Printable invitations are perfect for the couple who wants control over their printing or who is on a very tight timeline. The digital resources page will help you find an online printer if you're unable to find one locally, and provides links to our favorite papers and envelopes. Even after your final files are delivered, you're always welcome to reach out and ask for help if you need it! 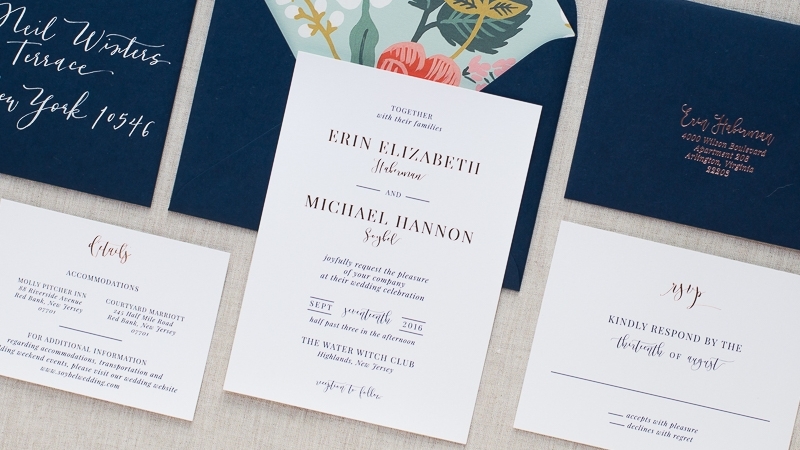 Pricing above is for digitally printed invitations, only. Please inquire if you're interested in Letterpress or Foil files.